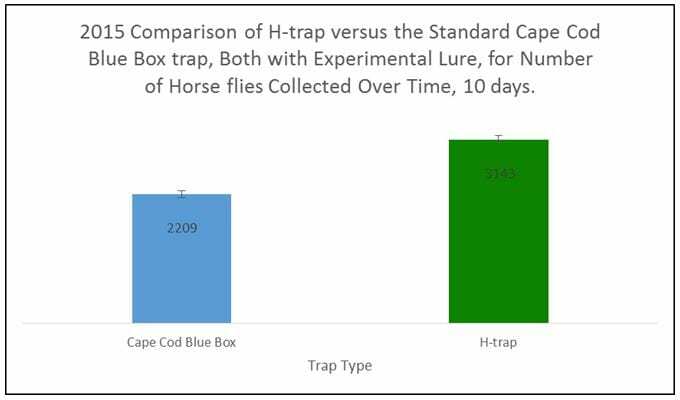 Testing of the H-Trap Professional Horse Fly Control System from Bite-Lite continued in several locations in Cape Cod, MA this summer with exciting results. Compared to the stationary blue boxes seen on the Cape for nearly half a century, our one legged horse fly traps are easily moveable, and can be pulled out and transported to locations that are inundated with both green heads and deer flies at a moment’s notice. The testing of green head flies, within the tabanus sp. 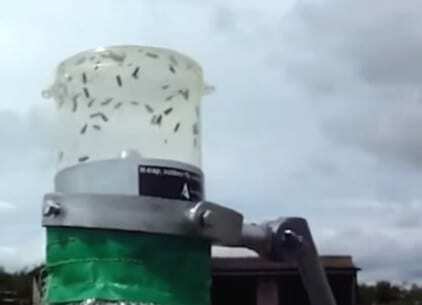 family also known as horse flies, began in the summer of 2014 when Gabrielle Sakolsky-Hoopes of the Cape Cod Mosquito Control District agreed to set two new Bite-Lite horse fly traps alongside the blue boxes on Navigation Road in Barnstable. She and Bart Morris of the Cape Cod Greenhead Fly Control Project, a division of the Mosquito Control District, gathered favorable results catching green heads when compared to the wooden constructed blue boxes historically seen throughout the Cape’s marshy areas. Last August 2014, the results were reported in a story in the Cape Cod Times and can be found at this link: http://www.capecodtimes.com/article/20140801/NEWS/140809966. 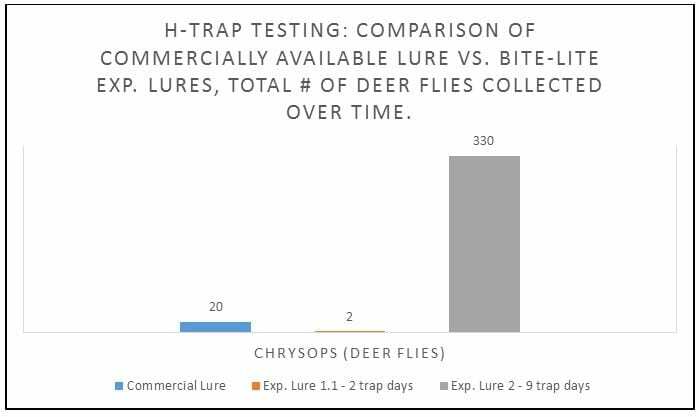 As the Cape Cod Times reported last year, catching deer flies successfully has been another story, and the results using the standard blue boxes have not been successful. 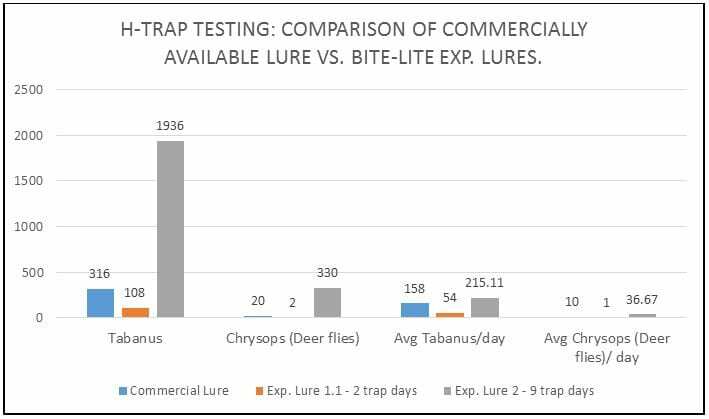 Our horse fly traps that were set in a wooded area in Orleans, MA in August had record results for any horse fly trap and lure the district has every tried. 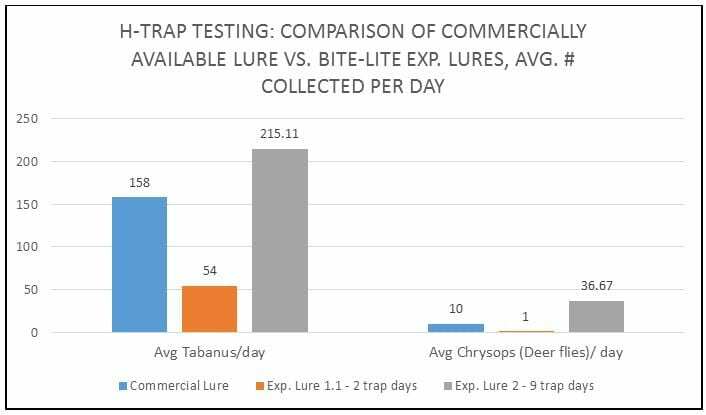 The horse fly traps with experimental lure collected 175 deer flies in less than 24 hours! The horse fly traps currently for sale by Bite-Lite are chemical free. 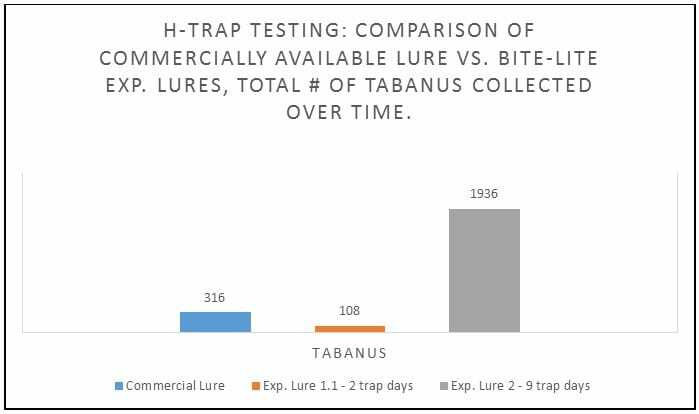 With ongoing experiments conducted with lures in Cape Cod and Florida, Bite-Lite hopes to register and market these lures in the near future.